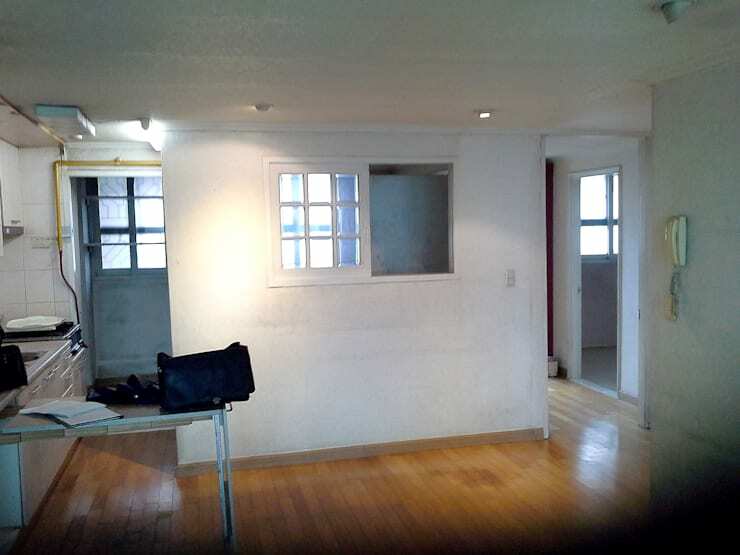 Old homes and apartments often become dull, gloomy and unappealing over time. But architects and designers can use their creativity and modern touches to renovate these tired abodes. So today, we witness the remarkable transformation of one such forlorn apartment executed by the interior designers and decorators at B&G Design Company. Once dingy and lifeless, the revamped residence now looks bright, stylish and very comfortable. Refreshing colours, sleek designs and advanced fixtures make this home a must-see! Though the layout was modern, with a combined kitchen and living space, the walls needed fresh paint and the wooden floor looked dreary. Bright lights, smooth flooring and glossy white cabinets make the revamped kitchen cheerful and storage-friendly. 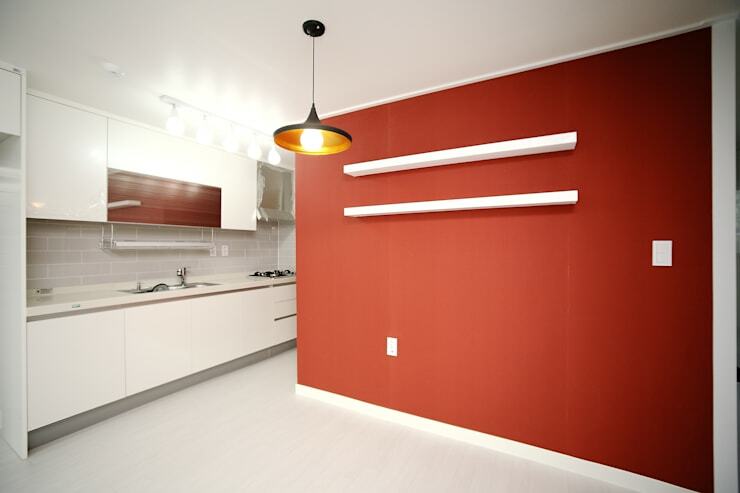 Modern appliances and a bold red wall with floating white shelves lend convenience, colour, and creativity here. 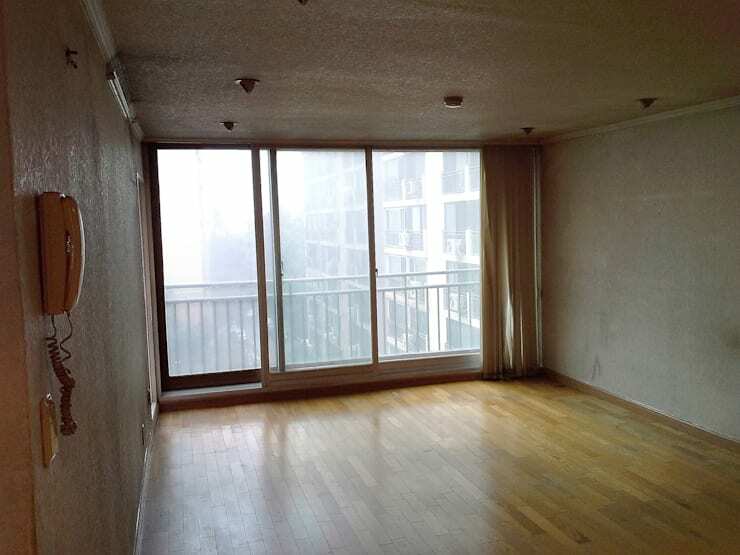 Drab wallpaper and an outdated wooden floor made the living area seem lifeless and uninviting. 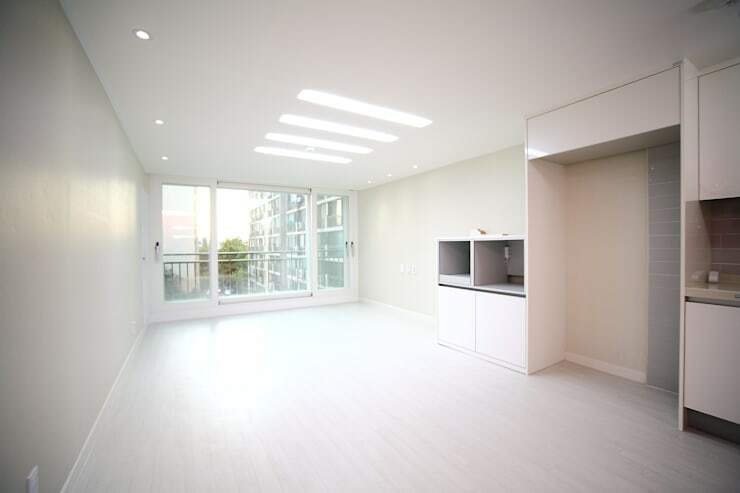 Despite the presence of large glass doors, sunlight hardly seemed to brighten up the space. Lavish use of fresh white paint, smooth surfaces and the cleaned glass doors now make the living space bright, refreshing and attractive. Sleek ceiling lights also enhance the lively ambiance and make the room appear more spacious than it is. 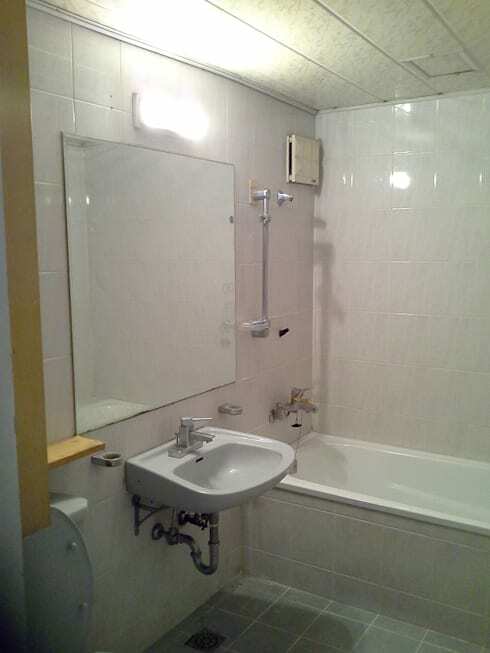 The small bathroom, with its boring white tiles and fittings, looked glum and inconvenient. It lacked contemporary touches and contrasting elements. 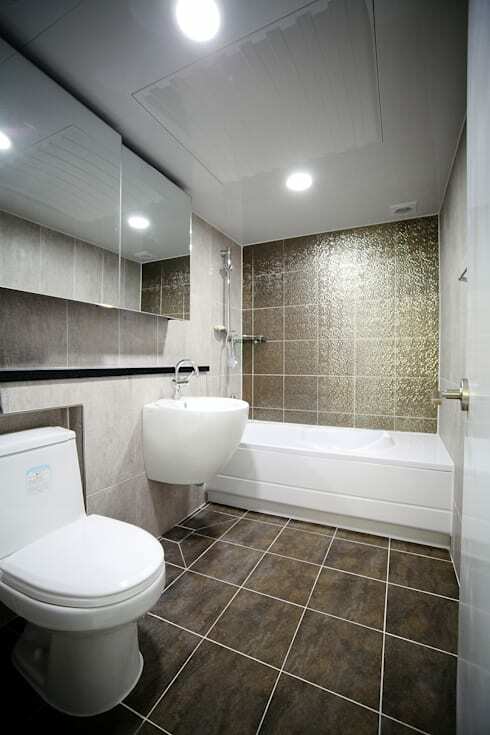 Large grey tiles on the floor and a shiny textured wall design lend tons of personality to the bathroom now. Bright lights and fashionable fixtures add to the beauty of the space, while a mirror cabinet offers lots of functionality. 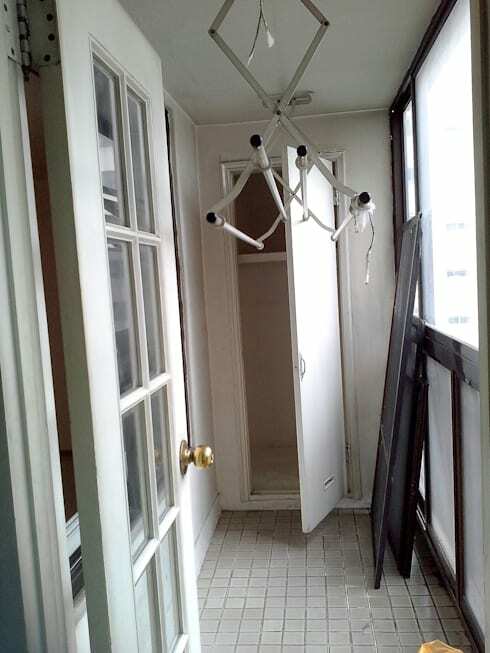 A perfectly good balcony was previously used as a laundry and storage area. The glass shutters didn’t allow enough natural light to filter through. Naturally, it looked shabby and gloomy. 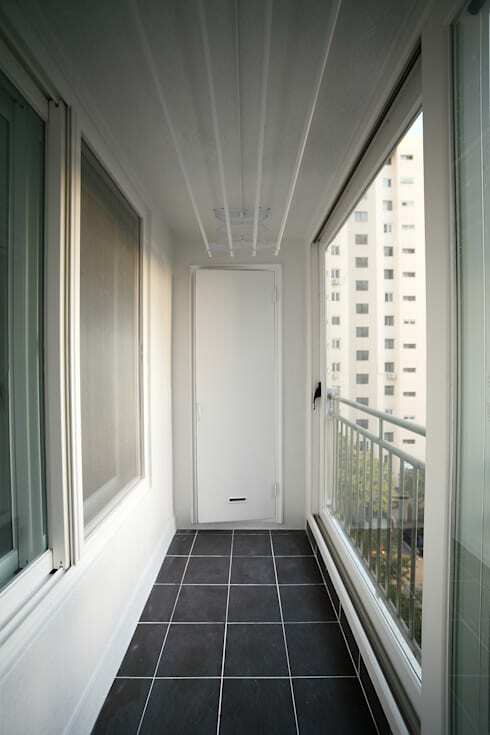 During the makeover, glass doors were removed and a sleek railing installed to open up the balcony. Dark grey tiles on the floor and white walls now make the space elegant, while sunlight and fresh air fill it generously. The balcony is now ideal for lazing around, relishing teas or simply soaking in the sun. Has this home makeover given you some ideas?